It includes major department stores like Globus, Manor and Jelmoli. Later I may add the design house boutiques of Chanel, Dior etc....Calvin Klein, which perhaps carry fragrances that are not sold in other stores (Cuir de Russie for example). - *Yves Rocher SA, Bahnhofstrasse 100. Selling their own products. I cannot get enthused. 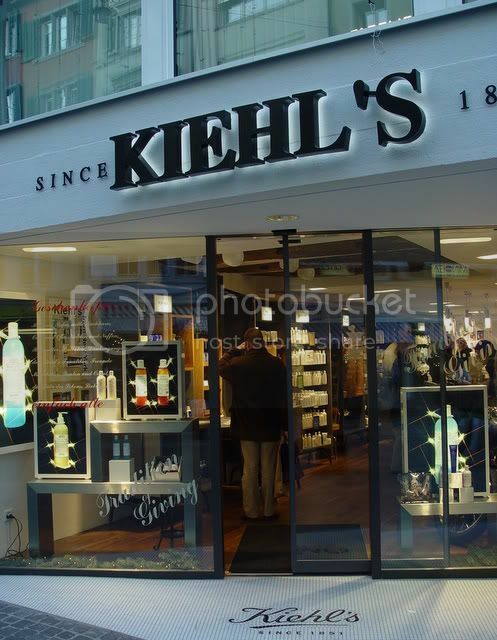 - *Import Parfumerien AG, Bahnhofstrasse 81, an affiliate of COOP, discounts / average stock, no scent, you wouldn't find at home, except perhaps Swiss Army which they all offer. Similar to Globus, but smaller, on the ground floor, they leave you pretty much alone to test as you please, occasionally bargains. Summer sale starts around June 15. Not the whole export line of Lutens, but they carry Boucheron. - **Jelmoli SA Grands Magasins, a little to your right, Seidengasse 1 (you’ll see it at the intersection with Uraniastrasse (Manor) www.jelmoli.ch They don't like you to test on your own. Go on Saturdays or when they are busy, and do as you like! Otherwise similar to Globus. The designers' representatives in Dptmt. stores do not always know all their products, just the latest ones. - *Coop City St. Annahof Z&#252;rich, Bahnhofstrasse 57 - either that one or Importparfumerie - same products, same ownership. - *Douglas Parfumerie SA, Bahnhofstrasse 32 European chain store. A little better than Marionnaud, I think. I hardly ever go. The girls look pretty and know little, but everything in their limited offer is behind the counter, very time consuming to get sniffing at things. 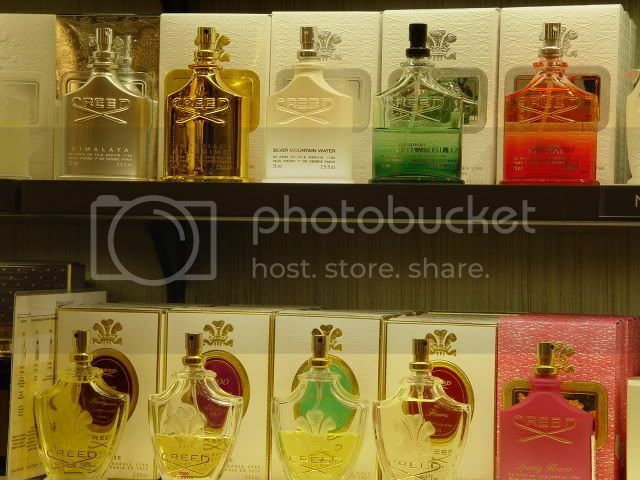 - *Marionnaud Parfumeries, Bahnhofstrasse 26, am Paradeplatz, just across the street from Osswald. **Medieval art & vie, the book shop of Andy Tauers friend, Pascal Wehrle, Spiegelgasse 29 (across the river, and up the hill to the old 'village'. You need to consult your map, or ask. The shop is not easily found. Tram 3 would bring you near. 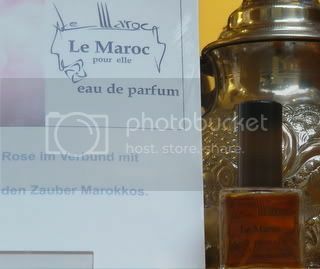 http://lemaroc.webstores.ch All current Tauer perfumes can be tested and purchased there. Perfume shops do not carry them. You may take a chance to visit one of the smaller boutiques mainly frequented by Zurich citizens (two are favorites of mine). I cannot possibly list them all, but there will be shopping guides in your hotel. Several fashion designers have a boutique in the center of town. 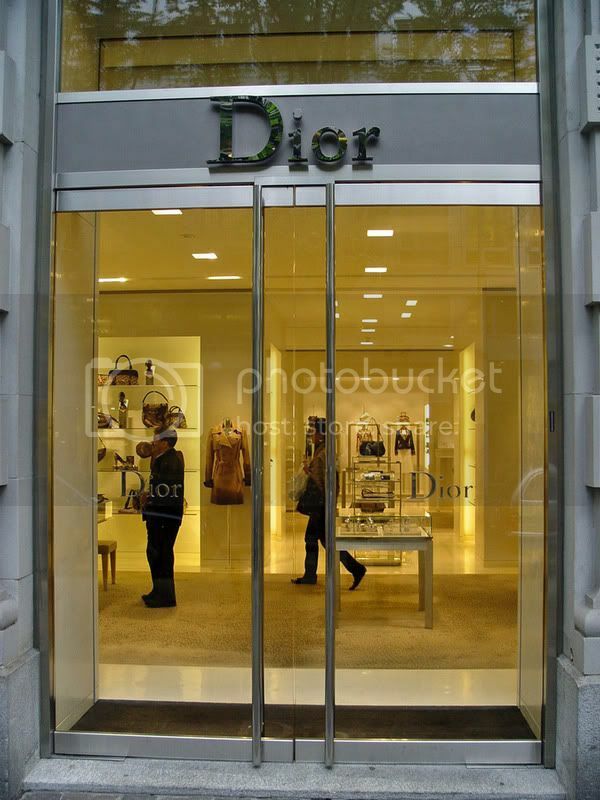 Dior and Chanel, both on Bahnhofstrasse, sell their exclusive fragrances there. Whether D&G, C.Klein, Armani, and some of the others sell their colognes also, I do not know. Be warned that my comments and recommendations are based on personal preferences. My aim is to be fair to all traders. I am devoted to fragrances mainly, their makers and traders of course have the respect they deserve. If you leave Zurich by train, and have extra time, and more money to spend before you go: L'Occitane have a shop in the main hall of the Railroad Staion. Any shop there is open until 20.00h, and also on sundays. Last edited by narcus; 12th September 2007 at 07:48 AM. The jar on top of the shelf: Honey from Armenia for sale. Lonestar Memories, 50 ml, come in a big box. I forgot to ask if that includes a tie. Last edited by narcus; 12th September 2007 at 07:44 AM. Last edited by narcus; 12th September 2007 at 07:42 AM. 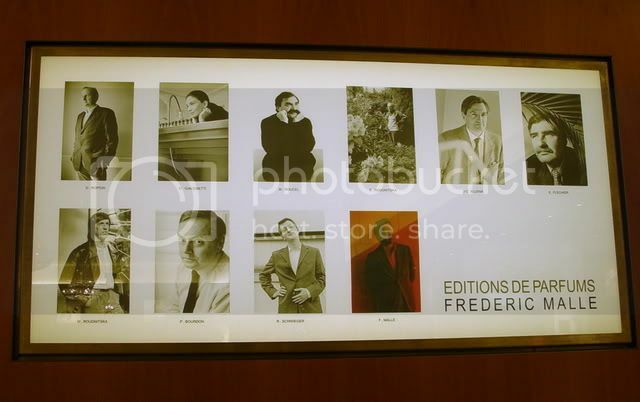 At Osswald, Paradeplatz: Portraits of Editions Malle Perfumers (above the Malle Perfume Cooler). Last edited by narcus; 12th September 2007 at 07:38 AM. Last edited by narcus; 19th August 2006 at 06:44 PM. What an extensive and thoughtful guide. I'm relocating to Switzerland soon and am delighted to read about the wonderful shopping potential. I am now planning to sniff my way around the city with your help. Thank you! Feel free to contact me once you are getting settled. HI, do you know where we can get Geir here in Switzerland? Geir: not sure but I hope you'll find it in Osswald, first shop metioned in my write-up (link). Timothy has listed their telephone number too. Otherwise, don't look further in Zurich. Unfortunately I do not know the stores in Geneva, Gstaad, or St. Moritz, deluxe tourist places. Montale had their (first?) boutique outside Paris in Geneva. Last edited by narcus; 11th April 2010 at 12:11 PM. Armani sells its private collection there. Guys there are friendly and English speaking. I had an imrpession that staff their is Italian. Hermes is accross Douglas is also selling its collection. Friendly SA. You can find Il Profumo range at Douglas Parfumerie at Centrum Glatt though it's quite far away from Bahnhoffstrasse. Last edited by jivena; 15th July 2008 at 08:00 PM. Ah, more places to visit and smell loveliness. Hoorah! I am already a massive afficionado of Oswalds thanks to Narcus. My husband knows that's the place to take me to sniff as a treat. Other women get romantic dinners, I prefer an hour on my own smelling things I've only ever read about. 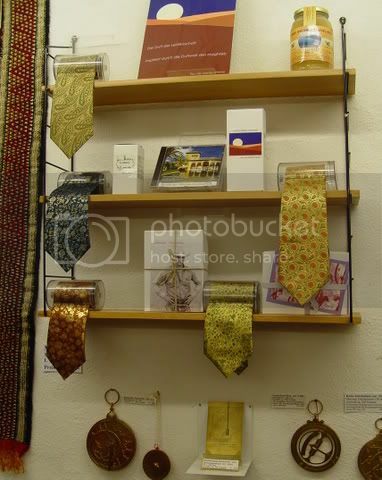 The photo is of the amazing collection wall at Oswalds. 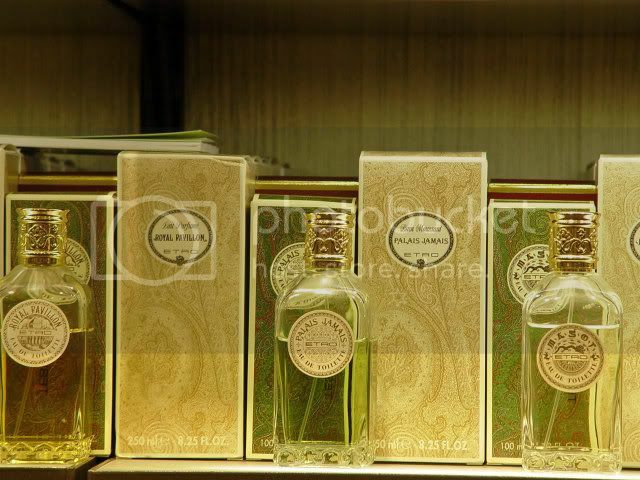 They have a large amount of Niche, next to the usual suspects like L'Artisan Parfumeur, Histoires de Parfumes, or Montale, you can find really rare stuff like Christopher Brosius' I Hate Parfume, Kerosene, Heeley, Liquides Imaginaires, or swiss-based perfumers like Sentifique, Wilhelm or the irresistibly great Vero Kern (Vero Profumo). The good thing is, they really know what they sell - and the owner is really cute! It's a stop-by for sure when I'm in Zurich! Thank you for the alert! I can't wait to go there. For anyone who is not familiar with the city: the shop is about three minutes away from the biggest Cathedral of Zurich, called 'Grossmünster', or ten minutes walking from the lake's end. For those of you who live in Zurich and have been to the Osswalds in New York, how do the two stores compare in terms of product selection? I haven't been to the one in Zurich yet, but plan on making a trip sometime this summer.